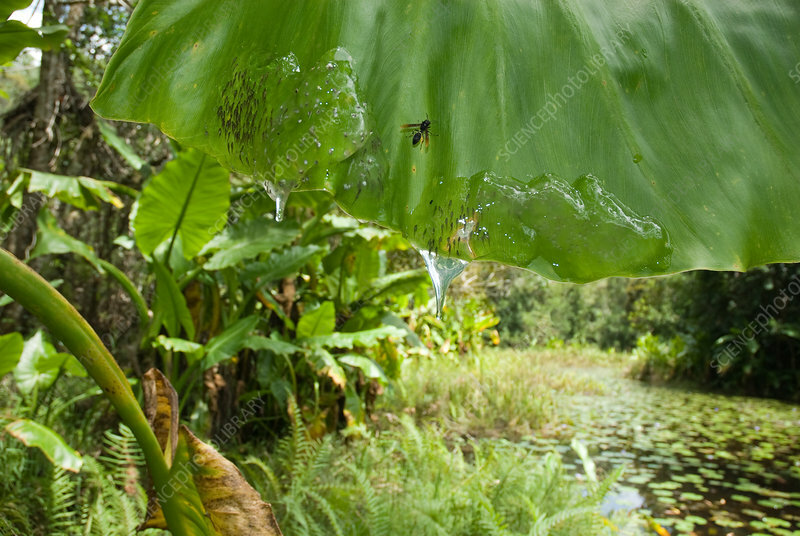 Wasp (Ropalidia species) attacking Mantellid Frog Tadpoles (Guibemantis species) on leaf overhanging pond. Tadpoles escape by dropping into water. Association Mitsinjo Reserve, Andasibe, Madagascar, February 2010.